Whew. I’ve had my work cut out for me this week, given a big honkin’ book deadline. But I’m nearing the finish line. I really am! Today at Kirkus, I write about two new picture books (nonfiction’y in nature, but technically fiction — “nonfiction’y” is a precise term, don’t you know?). 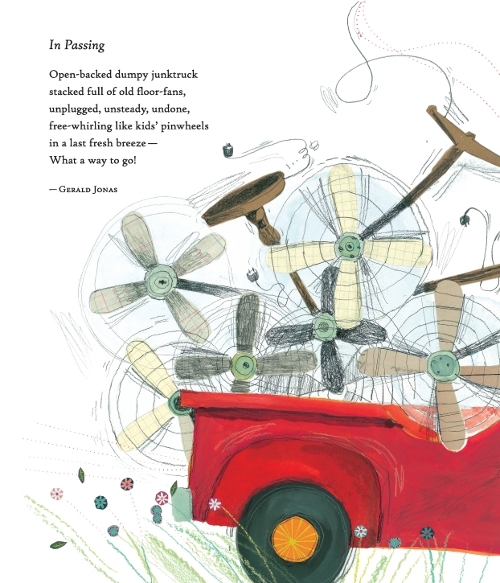 And those would be Cindy Jenson-Elliott’s Weeds Find a Way, illustrated by Carolyn Fisher, and Clotilde Perrin’s At the Same Moment Around the World. Perrin’s beautiful cover is pictured here. Next week here at 7-Imp, I’ll try to have art from both. Well, yesterday’s ALA Youth Media Awards announcements were exciting. Onwards and upwards to 2014, yes? 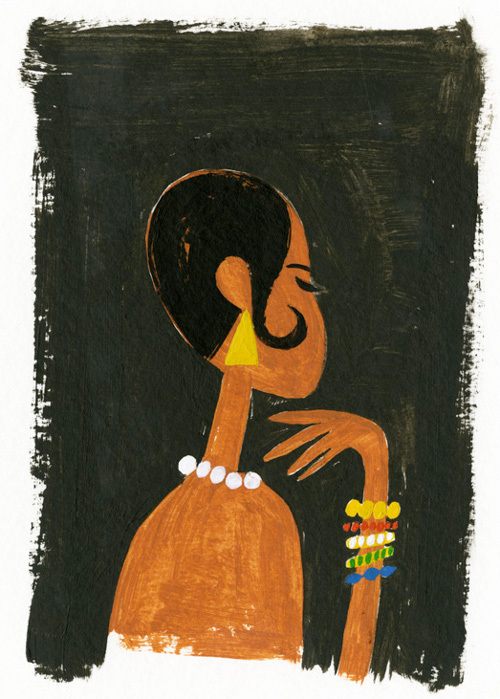 On Sunday (here) I posted about Patricia Hruby Powell’s Josephine: The Dazzling Life of Josephine Baker (Chronicle Books, January 2014), illustrated by Christian Robinson, which is a terrific book and one of the first this year that makes me want to cheer. And then, if you’re so inclined, you can come back here, because Andrew shares some early sketches and final art from the book here at 7-Imp today. See below. I thank him. “Oh, I see. When I am lost, I climb a little higher so I can see all around. This morning over at Kirkus, I wrote a little something in honor of the upcoming ALA Youth Media Awards. That link is here. 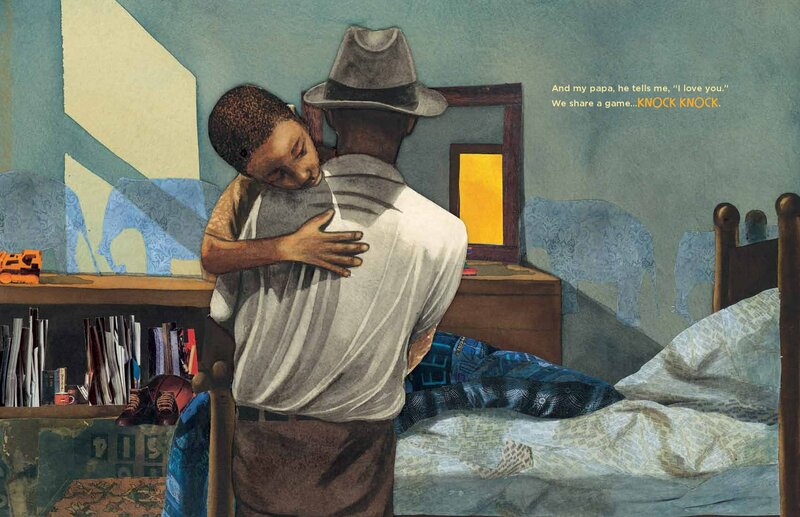 Today at 7-Imp, I’ve got some spreads (sans text) from Kadir Nelson’s Baby Bear, which I wrote about last week. Some of the colors in these spreads are a bit off, at least according to my computer, which bums me out. I wish I could ensure accurate color reproduction on everyone’s computers, but this is the best I can do. This morning over at Kirkus, I have a chat with British picture book author and zoologist Nicola Davies. I’ve enjoyed her books over the years, and her newest, The Promise, illustrated by Laura Carlin, will be out from Candlewick in early March. This one isn’t nonfiction; it’s actually an adaptation of a short story, and it’s Carlin’s debut picture book. There is more at this link. 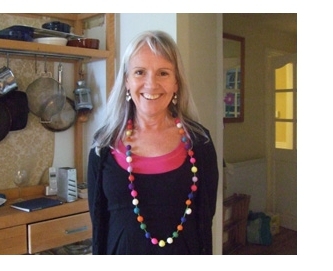 Photo of Nicola Davies used by permission of Candlewick Press. Meet Goldy Luck. 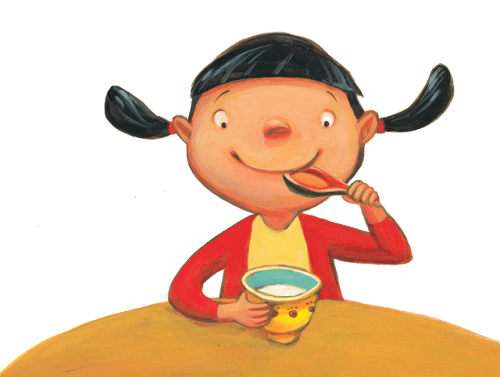 She’s the protagonist of Natasha Yim’s Goldy Luck and the Three Pandas, illustrated by Grace Zong and released by Charlesbridge this month. This is a retelling of the classic tale “Goldilocks and the Three Bears” — with a Chinese twist. Goldy’s having a tough time, even though she was born in the Year of the Golden Dragon, a lucky year. In fact, it feels like her luck is always running out. For one, her best friend has moved away (as you can see in the illustration to the right here), and in general Goldy feels as if she just keeps making a mess of things. When her mother sends her next door to the Chans to deliver a plate of turnip cakes to wish them a Happy New Year, things go downhill — and her Goldilocks-esque adventure begins. These are panda bears, her neighbors — and it just may turn out in the end that big-hearted Goldy makes a new friend. Many elements of Chinese culture are woven into the story, and the author closes with a note about the Chinese New Year and its rituals. 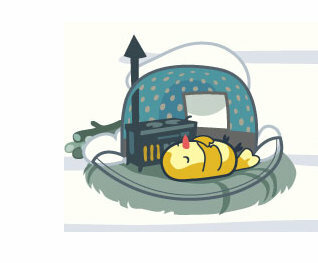 Zong’s acrylic illustrations are bright and warm. 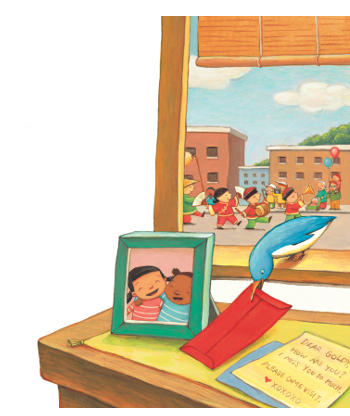 illustrated by Tomie dePaola (Nancy Paulsen Books, February 2014), which I wrote about at Kirkus last week. 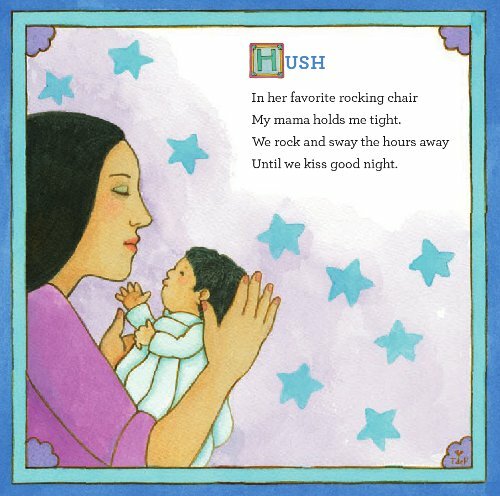 This is such a superb collection of poems for very young children, and dePaola’s art is so inviting. As I said, I wrote about it here, so you can read a bit more about it at that link, if you’re so inclined. I’m happy to have some of the poems and art to share today. Today over at Kirkus, I wrote about Kadir Nelson’s newest book, Baby Bear. I COMPLEEEEETELY FORGOT that I’d recently read a wonderful Q&A over there about this book — Jennifer M. Brown chatting with Kadir, that is. Repeat after me: Welcome to the Department of Redundancy Department. But at least Kirkus was nice about it and posted my column anyway. So, what I suggest is that you read Jennifer’s Q&A. If you want to read my thoughts on the book, knock yourself out. Next week, I’ll follow-up with some art from Kadir. Last week (here), I talked about new some new poetry picture book titles, and today I have some art from them. 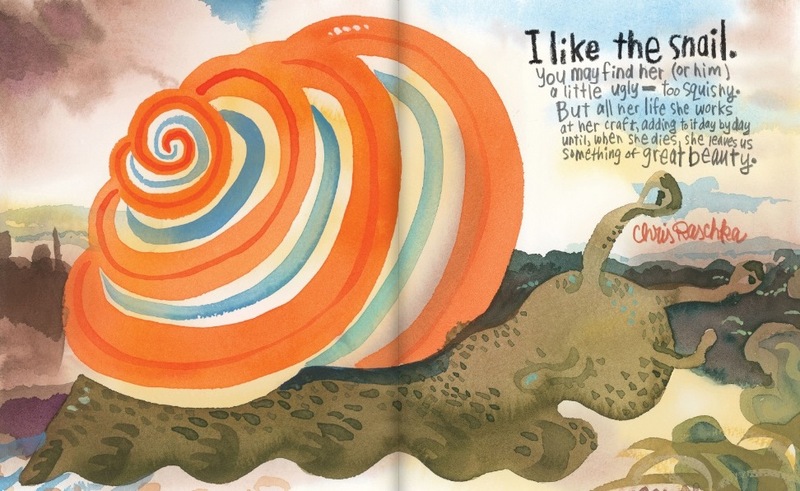 I didn’t manage to secure spreads in time from Lin Oliver’s wonderful Little Poems for Tiny Ears, illustrated by Tomie dePaola (which is a really superb book). But if I get them later, I’ll amend this post. 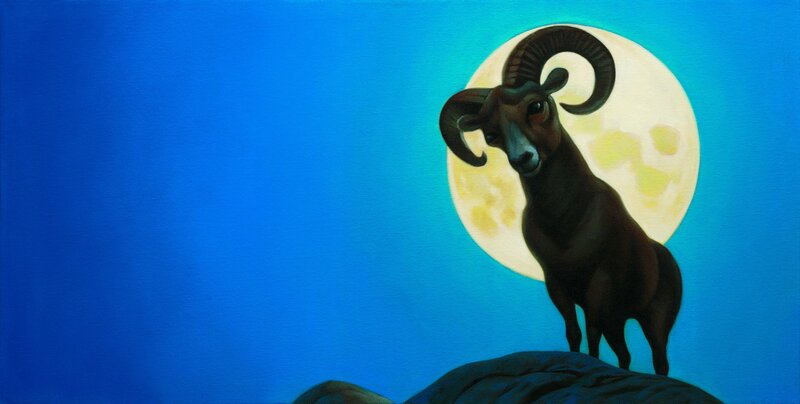 Let’s Look at Some Art from Bryan Collier, Shall We? In the category of I Wrote About This Book at Kirkus Last Week But It Won’t Be the Same If I Don’t Also Share Some Spreads from the Book, I give you today some of Bryan Collier’s illustrations from Daniel Beaty’s KNOCK KNOCK: My Dad’s Dream for Me (Little, Brown, December 2013).